Having seen off all three of the southern hemisphere giants last year, including a historic first victory over world champions New Zealand, Ireland face a different challenge as they open their Six Nations campaign against Scotland. 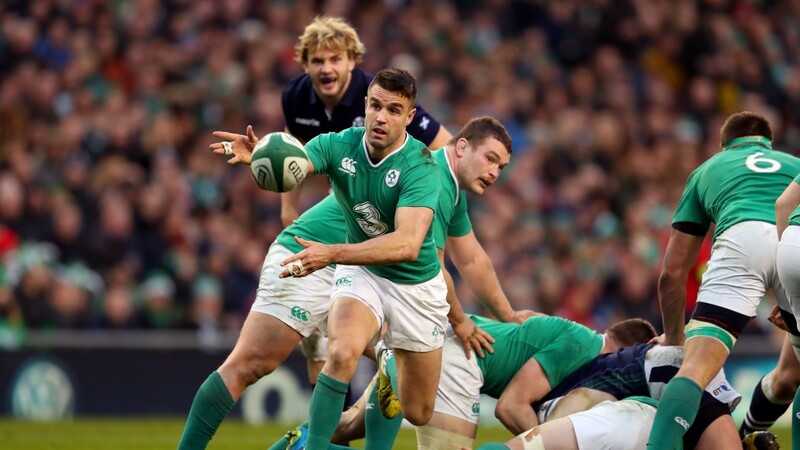 Murrayfield has been a happy hunting ground for the Irish, who have won on six of their last seven visits in the Six Nations, but they are up against a transformed Scotland side. The Scots' only defeat in their last five was a one-point reverse against Australia in the autumn and they look like a team ready to take a big step forward. The significant shift in Scotland's game is that they have finally found an attacking edge, and a team who for years struggled for tries are now beginning to fire. Their total of 11 in last year's Six Nations was their highest ever, while their tally of three tries in a 35-25 defeat to today's opponents in Dublin was as many as they had scored in the previous six meetings. The stardust is to be found in their back three, where Stuart Hogg, Tommy Seymour and Sean Maitland start today, while centre Huw Jones was the find of the autumn as he bagged a brace against Australia. But the driving force behind their success could be fly-half Finn Russell who provides the attacking spark. Ireland know the danger they face today but they have the power to put a real squeeze on the Scots and deny them time and space. They will also use their precise kicking game to play for territory and keep the attacking threat at arm's length. The forecast is for rain to clear by kick-off but gusting winds are likely to make conditions difficult for the kickers and may add an element of randomness. The ingredients are there for a close-fought game and it may come down to who holds their nerve the better and Ireland look the more assured outfit. The Irish players have been regularly competing in high-pressure situations for country and province while that narrow defeat to Australia and nervy last-minute win over Argentina the following week suggested the Scots still need to learn how to master controlling their fate. Scotland are five-point handicap underdogs but 12 of their last 14 defeats have been by ten points or fewer and another narrow disappointment looks likely.